Bill Edwards, Jr., began working at Queen Beach in 1972. 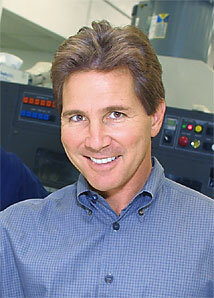 Bill has worked in the camera and film stripping department as well as the typesetting and art departments. he started planning print production and working in sales in 1989. Now an owner of Queen Beach Printers along with his father and uncle, Bill serves as Chief Operating Officer adn Vice President of the company.